The combination of cold weather and daylight at a premium can take its toll on your mind and body when the winter season arrives. Whether it’s a pre-Christmas present from you to you or celebrating the New Year with a new and fresher self, winter sun holidays are a great way to rejuvenate yourself. Couple a winter sun destination with a luxurious spa resort and you’re on your way to chasing those winter blues away. Although a Spanish Island, Tenerife’s location is closer to Morocco than the Spanish mainland and as a result benefits from a North African climate. Known as the ‘Land of the Eternal Spring’, Tenerife rarely dips below the 20°c mark even in winter makes it popular destination for winter sun holidays. The island enjoys several micro-climates meaning visitors can almost choose their temperature depending on where they choose to stay on the island. 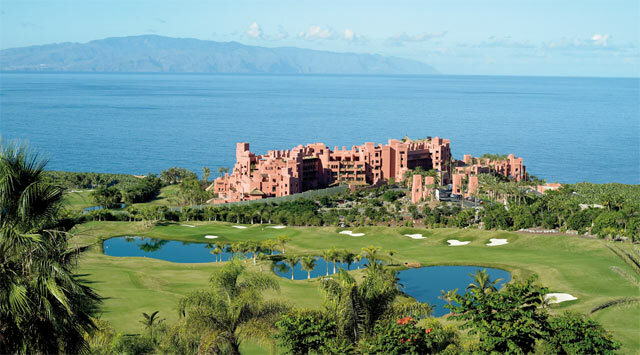 The five star ABAMA Golf & Spa Resort in Guia de Isora boasts an idyllic location on a clifftop with unrivalled sea views. The tropical surroundings of flora and fauna are a far cry from busy city life for those looking to escape the lifestyle for just a while. Greenery and serenity is a theme carried throughout the resort too with manicured gardens, lakes, gently rushing waterfalls and a secluded beach to aid relaxation. There’s no shortage of places to take a dip with seven swimming pools available. Working up a sweat is easy too with seven tennis courts, four paddle courts, a gym and an 18-hole golf course on hand. Whatever you decide to do, you’re bound to have worked up an appetite which is fortunate as The ABAMA is the only resort in Spain which holds two Michelin star restaurants and a menu created by Martín Berasategui. The spa is built on a five pillar principle of well being: rejuvenation, relaxation, revitalisation, balance and beauty. Treatments are unique to the resort, using local and natural materials like volcanic stones, algae and fruits. Guests can choose from massages to yoga classes. Another popular winter sun destination in Europe is The Algarve in Portugal. Situated north of Morocco, the area of Vilamoura receives a mild blast of heat for those who burn easily. 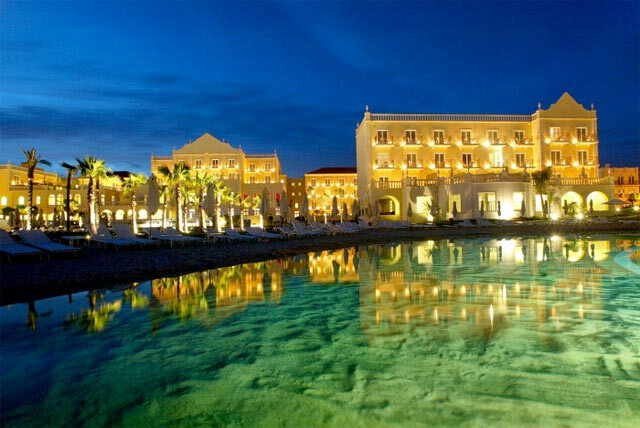 The average temperature of winter in Vilamoura is a steady 15°c. The golfing capital of Europe, keen golfers retreat to Vilamoura for better playing conditions. Situated near the elegant marina and beach, the Lake Spa Resort couldn’t be better placed for a relaxing holiday. Take a stroll through the beautiful rustic town which features fashion boutiques and cafes to watch the world go by from. Or choose to set sail on a dolphin excursion or simply eat and drink while the sun sets in the distance. With views over the marina and the white-sanded Falésia beach, The Lake Spa Resort guarantees rest and recuperation. Although you may never have to leave the resort with three swimming pools; one is heated during the winter months and another features a one-of-a-kind sand bottom. Golfers can test their skills at one of five world-class golf courses. The Blue & Green Spa offers a unique experience of ‘five continents, five senses’ theme. The Blue Spa offers a variety of hydrotherapy sessions like jet pools and baths while The Green Spa provides treatments from around the world including Japanese Shiatsu and Ayurvedic massage from India. The Caribbean coast rewards those willing to travel further afield for their perfect winter sun getaway with average temperatures in the high twenties. Mexico’s eastern peninsula has become increasingly popular for beach holidays and it’s easy to see why with miles of soft sanded beaches, deep blue waters and a rise in five-star luxury resorts. Located on the outskirts of Cancun, The Beloved Hotel Playa Mujeres offers seclusion on the peninsula but still easy access to bustling Cancun. For a little history and culture, guests can visit the Mayan ruins of Tulum and the Chichen Itza. Guests have easy access to two miles of beaches while the resort provides sun loungers and thatched huts around three swimming pools. 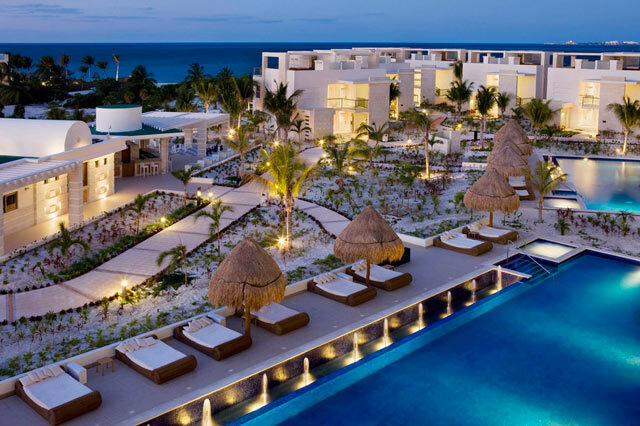 Perfect for a romantic getaway or celebrating anniversaries, the all-inclusive resort has four restaurants serving gourmet cuisine including the beach fronted El Mar. There are four outdoor Jacuzzis to relax in while the impressive Beloved Spa spans 35,000 square foot and features fitness equipment and experts to help build a unique program for you. There are a variety of treatments available from body wraps and scrubs to massages on the beach. Guests can also book aromatherapy, body and facial treatments or simply relax in a Turkish bath or Hammam.